We looked at where Gee's Bend is on a map and talked about what quilts are, how they are made, and how they can have dual purposes (looking cool and keeping warm). 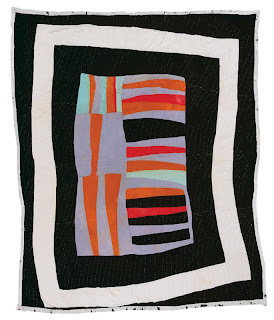 I also shared that quilt making can be both an individual process and a collaborative one. We also discussed how the quilters would reuse and recycle materials in their quilts because they lacked the money to buy new materials. Each or the students made their own small (12x12") paper collage quilt and then contributed that piece to a larger class quilt. I plan on displaying all 10 class quilts in the auditorium this month. Each class used different color combinations. 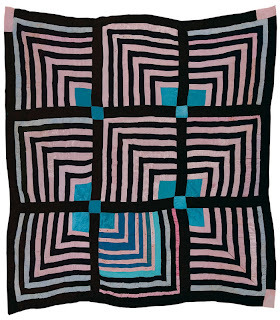 All the quilts were started by using a Gee's Bend "housetop" pattern. After adding 3 or 4 colors this way, then students could add more details to their quilts so each of their designs was a unique section. Each quilt averages 7 x 3 feet. Gorgeous! I saw a Gee's Bend exhibit a couple of years ago and was never so moved by a piece of art in my life. I am also currently doing a paper quilt project for the first time this year, and I can't wait to post about it. These are wonderful! 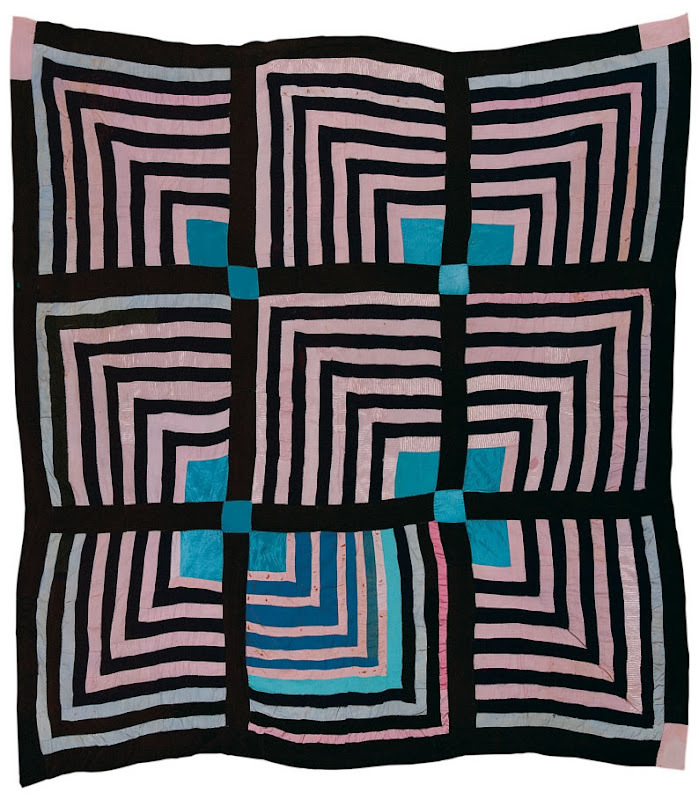 I adore Gee's Bend quilts and have wanted to do a project based on them. These group collaborations make such an impact. Great post! I am so doing this instead of my usual Gee's Bend project. These look amazing together! Any tips for how to do the housetop pattern with the kids? the housetop is pretty simple. its an "L" that gets smaller and smaller on their quilt square. i have them do 3. the first fits with no left over paper. the second uses the same length paper as the first, but since the space is smaller the kids will have left over paper that they will cut off and use later. the 3rd L uses smaller paper (9x1.5"), but they will still have leftover that they can use later. i have them use 2 more strips that are 6x1" and they may choose to do another L or they can cross them, or do 2 verticals, or 2 horizontals. after that they use any left overs to add details and patterns to make their design different than the person next to them. the left overs accumulate at the desks so there are different colors to use as more classes do the project. this project is an "easy" success, for me and so many students!